Falling in love with a line that's very hard to get in the US was probably not the smartest move I could make, but RMK brushes and makeup have a wonderful reputation among the Asian cosmetics addicts. 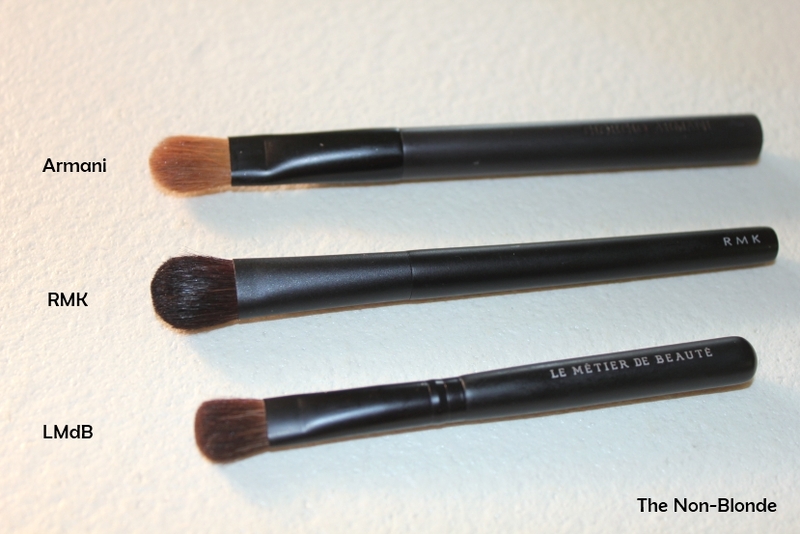 The craftsmanship of Japanese makeup brushes is unparalleled and I could not stay away. I'm glad I didn't. 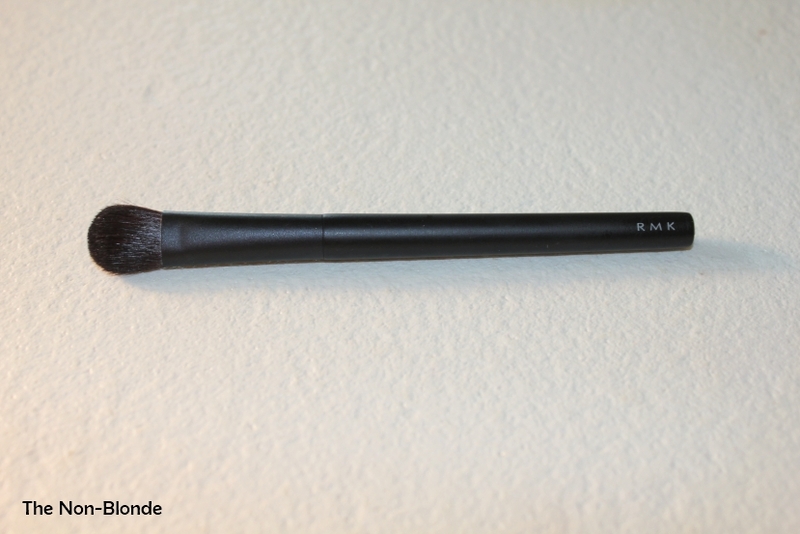 Unlike what one might expect from its name, RMK Eyeshadow Brush L is a small tool. 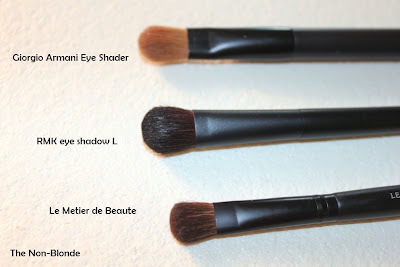 This brush is only slightly larger than the Giorgio Armani Eye Shader and the Le Metier de Beaute eye shadow brush, which are the smallest full-size brushes in my collection. 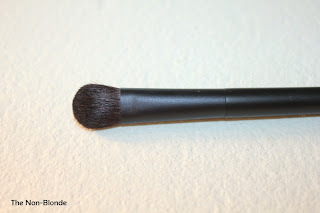 The RMK brush is thicker and fluffier than both, made of amazingly soft horse hair (where do they find these horses and do they come in miniature size?) and works well both for applying color and for blending. 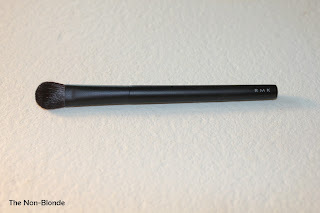 The RMK Eyeshadow Brush L is small but mighty. Several times when I was in a hurry and not doing anything too elaborate, I used it with two or three eye shadows to create my entire look- a wash of color, a darker lid/crease and flawless blending. 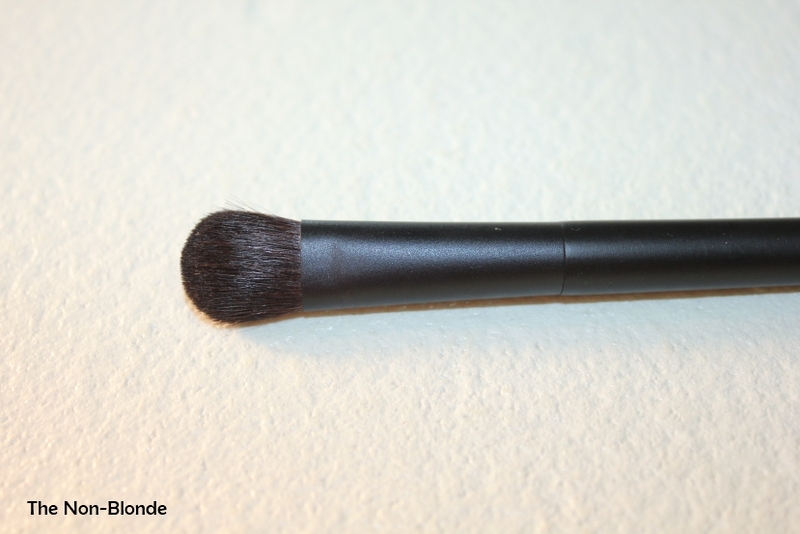 RMK brushes can be found in several locations throughout Asia and in Selfridges. That looks amazing. I'm very tempted by the RMK face brushes and must go for a look next time I'm Selfridges. 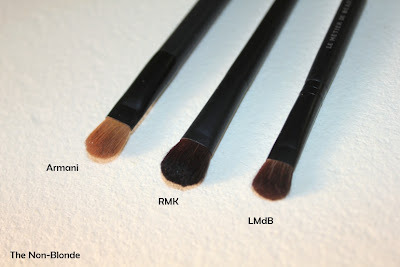 I see that Delicate Hummingbird has bought RMK brushes from BonBoncosmetics.com, this may or may not be useful to know. I know I got distracted and started looking at the Lunasol brushes they stock!